“I don’t have enough startup capital to start my business” is probably the most common reason given by aspiring entrepreneurs who have not quite taken their first step into business yet. It’s a fair enough statement. Depending on the kind of business you want to start, it could cost you a lot of money and then some. Especially if the idea of being “in debt” gives you anxiety, you might think you have no possible ways to get your idea off the ground. Funding your startup doesn’t always have to be such a stressful issue. It can be a difficult and time-consuming process, but when you have the right mindset nothing should get in the way of striving to achieve your dream. Before we get started on the several ways you can get funding for your business idea, let’s first go through the truths about funding to put your mindset in the right place. If you don’t have enough savings to fund your startup entirely yourself, you have to borrow. There is no other way around it assuming you’re not a big fan of stealing, and most of us are not that lucky to come across a million bucks of cash in an abandoned brown paper bag. And because nothing in this world is free, even when you don’t think you’re borrowing, the truth is that you are. The below methods of funding your startup are all different ways of borrowing, concealed under different names. It’s understandable that not everyone is comfortable with the idea of having to borrow funds. But since there are pretty much no other options, get acquainted with this idea. It’s difficult to get funding during the idea stage. Unless you’ve already got some previous experience of running a business that you can show, it’s difficult to get people or institutions to fund you with just an idea. Logically speaking, why would anyone want to fund your idea without having seen what you’re capable of? Starting your own business is risky, but funding a business without sufficient evidence of its potential is even riskier. This means that you need to approach the right people at the right time. You need to build up your clientele, customers, or even suppliers, and work on developing your product so that it can be used to actually show what your business can do. When seeking funding, you need to be able to show that your business has a place in the market and that your customers are already enjoying it. It’s not impossible to get funding at the idea level, though. But keep in mind that it will be a hundred times more difficult without anything to back your point and show your potential. 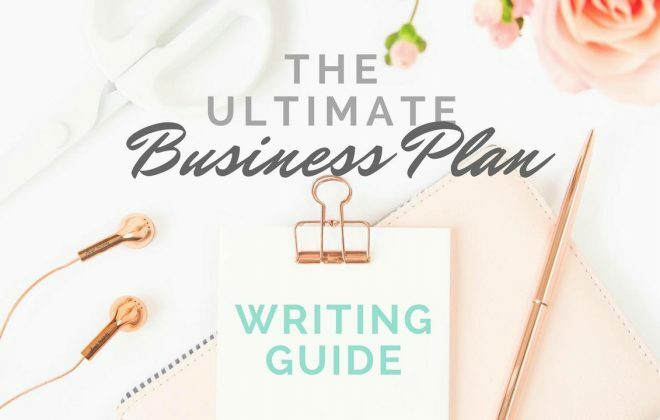 You need a killer business plan. When you’re walking into ask for funding for the first time and with no solid evidence to show your idea’s worth, you need to go the extra mile with your business plan. Don’t let all the research you’ve done while testing the feasibility of your business idea go to waste. It’s all relevant and essential information for your business plan, that can show the potential investors that you really know your stuff. The most important thing about funding is the level of risk. By sharing your extensive knowledge about the market, industry, competitors and customers, you show that you’re an expert in this area. It’s not just enough to write a beautiful and insightful business plan, though. You need to know it inside and out. Learn the figures in your business plan and show that you know it like the back of your hand. Again, it’s not going to be easy. When you’re about to go out into the world seeking investment or loans, just remember that it’s not going to be an easy road. Just as money is important to you, it’s important to others, too. Banks or investors or anyone else you approach will want to be reassured that their money is safe and will be returned at a profit. In order to determine this, they will ask you questions after questions about your business idea. When being bombarded with questions you can’t answer or being criticised for something you haven’t thought of, don’t go into a spiral of panic and despair. Think of it as the best free consulting session you’ve ever had! If your investors won’t fund your projects, there must be a good reason. And if you can’t even get funding, will customers really want your products? With the above points in mind, below are some of the ways you can approach funding for your startup business in Australia. #1. Get a loan from the bank. Or open a credit card account. It might not work for every new startup, in which case you need to be prepared to back yourself with some kind of collateral. #2. Get a government grant. #3. Join a startup incubator/accelerator. Business incubators are organisations that help to fund, support and accelerate the growth of startup businesses for a stake, and are often sponsored by universities, colleges and other private companies. Check out Y Combinator, that funded over 1400 startups since 2005, including well-known companies such as Reddit, Airbnb, Weebly and Dropbox. #4. Start a crowdfunding campaign. Crowdfunding is a concept that has been around for centuries, being used as a platform of funding projects by the likes of Mozart. Although the historical crowdfunding campaigns started on paper, advertised via the newspaper and notices, modern day entrepreneurs can cut out the hard work in the middle and spread the word online using websites like Kickstarter. Since their launch in 2009, Kickstarter funded over 120,000 projects with the help of 13 million people who together pledged $3.1 billion (as of June 2017). #5. Ask family and friends for funding. While reaching out to family and friends for your startup can feel uncomfortable, it is probably the most common and obvious way to fund your ventures. What’s even better is that when you have funding by family and friends, other investors are more likely to take your projects seriously. After all, if your family and friends don’t believe in your idea, why would anyone else? Keep in mind to put in place a proper return on their investment. Even if you don’t have enough money to fund your whole project, you would be surprised how much you can chalk up if you put your mind to it. Bootstrap until you’ve got some income coming in, and get out there and make some side income. There are a lot of ways to make extra money while also making a name for yourself or adding to your experience, such as writing and publishing e-books, creating and selling online courses, and starting a blog and getting income by publishing ads or selling affiliate products. This takes a lot of time and energy, but funding yourself means you become a self-made business person, with no debt to pay back or equity to give away later. All the above ways to fund your startup can be time consuming, stressful and require a lot of work on your part. But we all know that nothing in life is free, especially money. It requires a lot of consideration to seek the best possible solution for your new venture. Take into account that with some methods of funding, you can give up part of the control over your business decisions and sign yourself up for long-term commitments. However, don’t let this hurdle get in the way of achieving your dream. Instead, consider yourself lucky that there is a wide range of options available to help you take the first step into your business venture!